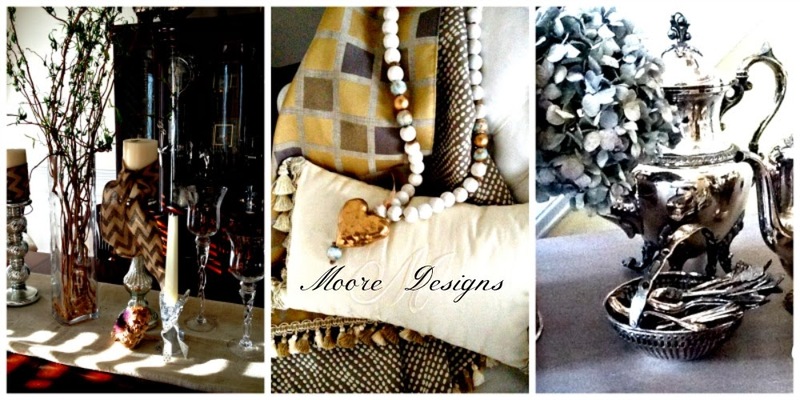 Moore Designs: Black and White and a POP of Colour! Black and White and a POP of Colour! You know I love tufting and this ottoman is way cool! 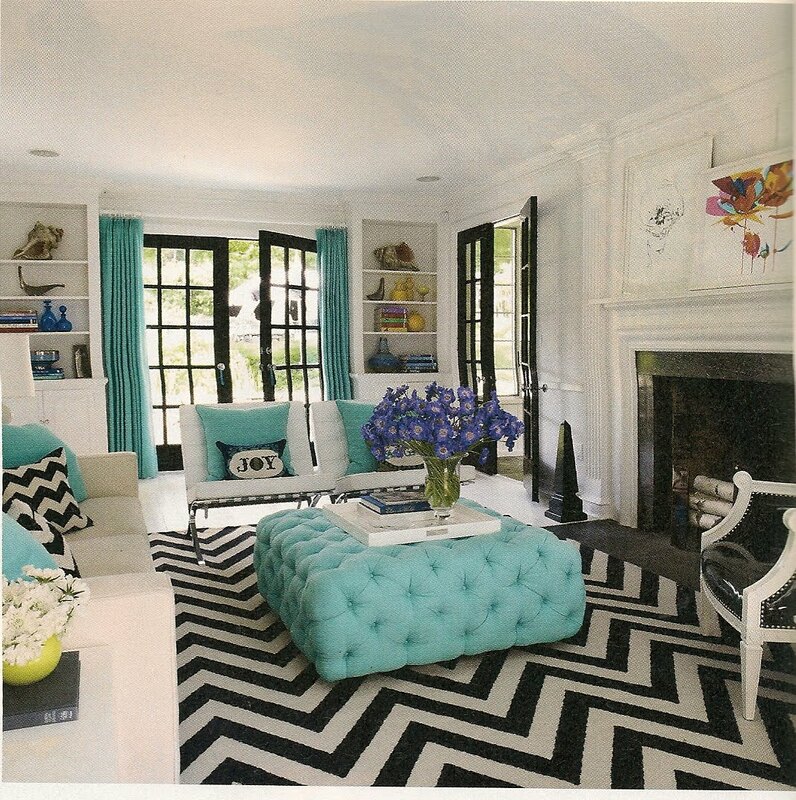 The Trina Turk geometric rug and pillows...wowsers. I'm not a huge turquoise fan but this works. When I look at those doors, I want to paint mine. (son getting married Oct 22 in MI). Looking for the 'perfect' mom of the groom dress and I am way picky and want some elegance not some granny look. As Fifi says, 'le sigh'! could not find photographer credit. I do like this room...turquoise and tufting and especially the black doors...I'm a big fan, but your right it's not for everyone!!! What a fresh take on turquoise. Not overdone, but just enough to pop! Being a window treatment gal myself, I love the drapes at the door. Simple, clean lines, not heavy. I also love those doors! I guess you're getting busy with plans for the wedding...such joy! There is no risk for a granny look, you will look stunning....but not to forget your handkerchief, you don't want your mascara to spill over. Today I'm off for a party, the very first for a rather long time...I'm really looking forward, just hope my back is ready for it. Wish I was there to go shopping with you! Not a big fan of tufting on an ottoman used as coffee table - too many crumbs and dust get in the tuts ha ha. Wow, I am loving black and white right now and since turquoise is one of my favorite colors, it's not hard for me to love that tufted ottoman. My faves: The rug....and the black door. Which is very timely...'cause I am painting and deliberating over mine as I type!! Come see and weigh in. Oh how I love a pop of color like that! Enjoy this wonderful time preparing for the celebrations ahead! Could you please tell us all where we can purchase this amazing ottoman!!! Thanks for coming by! I will always respond to your questions when you provide me with your email address. An interior designer living in Atlanta who embraces many different styles of design and decor with beautiful styling making your house a home. Simple Beauty is what Moore Designs is all about. Decor that does not overwhelm but creates a home that says, "welcome." A full service interior design company with expertise in fabrications and color.